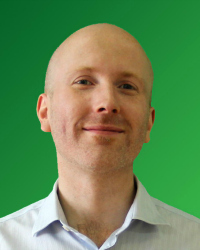 Matthew Brennan 马修 is a well-known speaker and writer about WeChat. His opinions regarding WeChat and the China digital ecosystem are regularly featured in global media (The Economist, BBC, The Financial Times, Forbes, TechinAsia, Campaign Asia, eMarketer). His company China Channel organizes China’s largest WeChat marketing conference series for international companies. He works primarily with international businesses to help form and implement their WeChat platform strategy. Co-host of the China Tech Talk podcast produced together with Technode, China’s largest English language tech media. Matthew holds 13+ years on the ground entrepreneurial experience in China. WeChat: Overview of all the key stats and data about China’s dominant social platform WeChat. Matthew covers WeChat’s impact on Chinese society, WeChat Pay as a fin-tech disruptor and WeChat’s place at the center of China’s mobile centric digital ecosystem. How parent company Tencent differs from Facebook and really breaking down exactly how and why WeChat dominates Chinese people’s digital lives. WeChat Marketing: How to set up and sell on WeChat using Official accounts. The business use cases scenarios for WeChat are immense: lead generation, branding, customer service and Social CRM. Presentations can be tailored to specific industries e.g. retail, luxury, and education. China Bike Sharing: Bike sharing has taken over China in 2017. Mobile payment empowered dock less bike sharing is a uniquely Chinese innovation. Matthew covers history of the industry, the impact on society, major players in the market, Chinese government regulation, business models and monetization channels. Matthew is truly masterful at presenting – breaking down complex topics into interesting and useful components. Even as an experienced WeChat user, I learned a ton and would highly recommend his talks to anyone.